Although racing games usually do not involve much strategic interaction*, Mario Kart 8—and its dastardly item blocks—require some thinking. Over the past few months of play, I have put my on my methodological hat and found at least three topics that game theory can help sort out. Let’s get to it. Here is a common but critical mistake. You race toward an item block and pick up a red shell. A split second passes by. You see a helpless opponent directly in front of you and let it loose. The red shell strikes him, and you overtake his position. A successful maneuver? Hardly. The opponent behind you has a red shell and does the exact same thing. You explode, losing two valuable seconds. Five people pass you, including the guy you shelled. Your net gain is negative four positions. Ready to fire? You might want to wait. The problem here is one of externalities. When you hit someone with a shell, you benefit some. But so does everyone other than your poor victim. Thus, you only internalize a fraction of the overall benefit; most of the benefits are external to you. Meanwhile, the target internalizes every last bit of the damage. In turn, whenever you fire off a shell, you are gambling that the small bit of benefit you internalize from striking your target exceeds the potential loss you will suffer if a shell hits you because you no longer have protection. The odds are clearly stacked against you. Hence, Mario Kart is primarily a defensive game, at least when it comes to items. Of course, that does not mean you should always keep your shells and peels in inventory. If you are in second and have a lot of space behind you, that red shell may be your only option to reach first place. Meanwhile, when you are not in first place, keeping a shell forever is worse than dropping it before the next item block, where you will hopefully roll a mushroom or something of the sort. So you should use your items; you just need to be judicious about the timing. On that note, the previous paragraph reveals a good time to use a red shell against an opposing Mario holding some sort of protection. If Mario is going to get rid of it, it will be right before he hits the item blocks. Anticipating this, you can time the shell just right so that Mario dumps the protection before impact. A “duel” in game theory is as it seems: two gunslingers have one bullet and slowly move forward until one is ready to shoot at the other. Shooting from further away has the benefit of preempting the opponent but is more inaccurate and risks allowing the other party to take a clean shot at you later. Waiting is also potentially bad because the other side might kill you first. What to do? Modeling the dilemma produces an interesting result: both parties shoot at the same time! Yet this is perfectly reasonable if you think about it. Imagine that you were planning on shooting slightly sooner than the other party. You will hit him with some degree of probability. But if you wait just a fraction of a second longer (but before he plans to shoot you), the probability you hit him increases slightly. So you should wait. But that logic recurs infinitely. As a result, when the gunslingers behave optimally, they will shoot at the same time. “Duels” like this have important applications, including helping to explain why two rival video game companies often release their new systems at the same time. (It also applies to competitive cycling sprints. If you have never seen this, it is very bizarre. Despite appearances, that is not slow motion instant replay.) The strategic dilemma also shows up in at least a couple situations in Mario Kart. 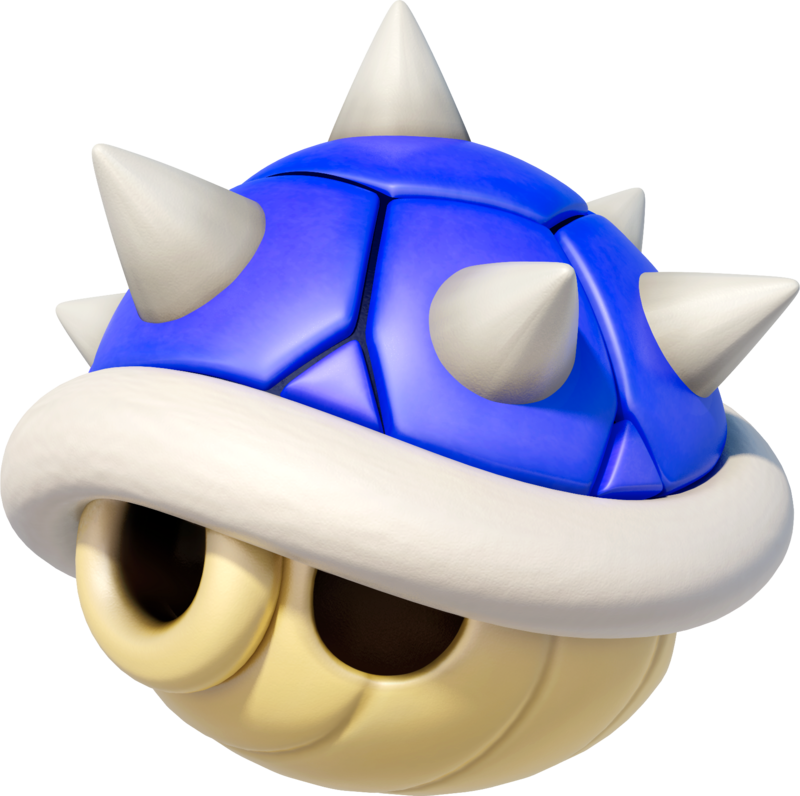 First, imagine you are neck-and-neck for first place with an opponent and you receive the spiny shell warning. Suddenly, your incentives change. Rather than racing to first place, you should slam on the brakes and try to get into second place. That way, the shell hits him and you can move along. Of course, your opponent has the exact same incentive. So in the split second you have to react, both of you end up pressing the brakes at the same rate, analogous to choosing to shoot at the same time. And just like a duel, sometimes you both end up dying because the explosion has such a large blast radius. The cause of countless nightmares. Finally, I want to talk about the game that isn’t strategic at all: course selection in online play. If you haven’t played online before, the system works like this. The game queues up to 12 players and randomly selects three courses. You choose one of these courses or a “random” option. After everyone has submitted their picks, the game randomly draws one player. If that player selected a course, everyone plays that track; if that player selected random, then the game randomly picks a course from the pool of all 32. The course selection screen. Optimists like this one will soon find all their hopes and dreams crushed. How should the course selection mechanism affect what you enter into the lottery? As it turns out, you don’t have to do any real thinking. You should just pick the track that you like the best. Unlike a traditional voting system, you don’t have to worry about what everyone else will pick. After all, if the game randomly selects your choice, then you are best off picking your favorite track; and if it chooses anyone else, then your selection is irrelevant. If the course selection isn’t strategic in any way, then why am I talking about it? Well, as it turns out, such a mechanism that compels everyone to truthfully pick their favorite track is exceptionally rare. Economists and political scientists care about these issues greatly because effective voting mechanisms are of vital importance for both corporations and democracies. Unfortunately, the scholarly results are decidedly negative. In fact, the Gibbard-Satterthwaite theorem says that individuals will have incentive to lie about their preferences unless a person is a dictator, some options can never be chosen as the winner (i.e., we never play Mount Wario), or the selection mechanism is non-deterministic. To see what I mean, imagine that the three tracks to select from are Music Park, Royal Raceway, and Toad’s Turnpike. (I’m going to ignore the random option for simplicity.) A majority (or plurality) of votes win. Suppose there are four other players you are squaring off against. Further, imagine that two of these guys prefer Music Park to Royal Raceway to Toad’s Turnpike; the other two prefer Royal Raceway to Toad’s Turnpike to Music Park. Meanwhile, you prefer Toad’s Turnpike to Music Park to Royal Raceway. Is it rational for everyone to vote for his or her favorite course? No. If everyone did, we would have two votes for Music Park, two votes for Royal Raceway, and one vote for Toad’s Turnpike. With the tie between Music Park and Royal Raceway, the game might break it with a coin flip. The result is a 50% chance of Music Park and a 50% chance of Royal Raceway. But imagine you misrepresented your preferences by voting for Music Park instead. Now Music Park has a strict majority and becomes the course that everyone will play. That is better for you than a 50% chance at Music Park and a 50% chance at Royal Raceway (your least favorite course). So you should lie! This means a majority/plurality system forces you to think about what others will select rather than just focusing on your own preferences. While it might not be surprising that I can craft an example where you have incentive to lie, what is shocking is that just about all voting mechanisms suffer from this problem. That is the magic of the Gibbard-Satterthwaite theorem—it jumps from examples of failures to saying that just about everything will fail. The only way to break out of the problem is to give someone dictatorial powers, eliminate some choices from winning under any circumstance, or have the voting mechanism choose non-deterministically. Nintendo’s selection system opts for the last resolution. In sum, just pick what you want on the course selection screen. And thanks to the incentive to tell the truth, let me tabulate all of your selections to investigate the world’s favorite courses. This entry was posted in Game Theory, Video Games and tagged Game Theory, Video Games. Bookmark the permalink. There is a slight error in your analysis. In MK8, what you get for an item is determined partially by how far behind the leader you are IN DISTANCE (NOT field position), so hitting the brakes lightly while in a close pack won’t be nearly as beneficial as you think. To my understanding, the method of item determination is a little bit different than in previous versions of the game. Do you have a source on this? I’ve seen a guide that has items by place but haven’t heard that they have a more sophisticated system. Still, it seems to be true that the first item block doesn’t give away the best items, and that is the moment when most racers are bunched together. 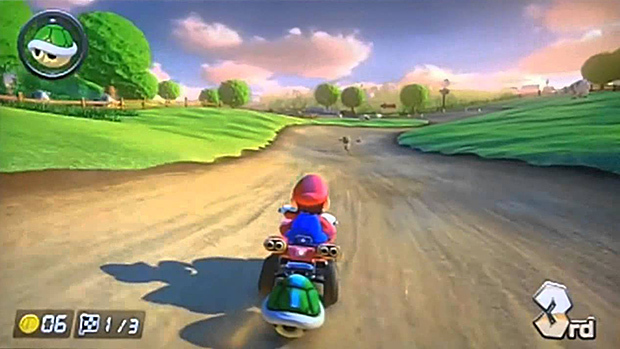 For example, right after a race starts and the field is all together, at the first set of item boxes, it’s not uncommon for a person to get coins in 10th, but on lap 2 (prior to “frantic” item mode on lap 3) be in second, with the leader having a bit of a lead, and receive triple reds or mushrooms. I don’t think Nintendo would ever officially release how it really works, but given this common occurrence, it is obvious that distance at least plays a decent role in item selection. On a different note, you didn’t mention that strategy in mk8 can also be greatly helped by using the item “spy” on the game pad, in which you can see what item every racer in the field has at that moment. If somebody behind you has a red shell, you hang on to your shell for protection. Likewise, if the racer behind you has nothing, you could safely shoot the red shell with minimal relative risk. Also of note, in my experience and in watching streams on twitch, sometimes a phenomenon will occur where people running in close proximity to each other will all get the same exact item. It is to my understanding that the item selection for online is actually done server-side, which is why on occasion it will take longer for an item to stop spinning once you have hit an item box. That’s really interesting. I’ve been wondering why sometimes it takes for-absolutely-ever to get the spinning to stop.